Sunderland might have benefitted from the controversial end to their recent 1-1 draw with Wycombe Wanderers, but they may feel repercussions further along the line. They went into six minutes of injury time trailing 1-0, but eleven minutes later were level at 1-1. In that time three men had been sent off, two of them already substituted but dismissed after a mass brawl. Winger Duncan Watmore also limped off after a crude Marcus Bean challenge and could miss their next league match. George Honeyman, sent off for his part in the mass brawl sparked by Watmore’s late equaliser, will now miss the EFL Trophy final at Wembley. Although much of the blame has to be apportioned to the players for indulging their hosts in the robust tactics later on, goalkeeper Jon McLaughlin also believes referee Lee Swaby has to take some responsibility for the frantic end. “It was a difficult day for the referee but I think he gave himself some problems by getting too involved in what was going on around him – going over to book people on the side lines and things like that riles people up,” he told the Chronicle Live. 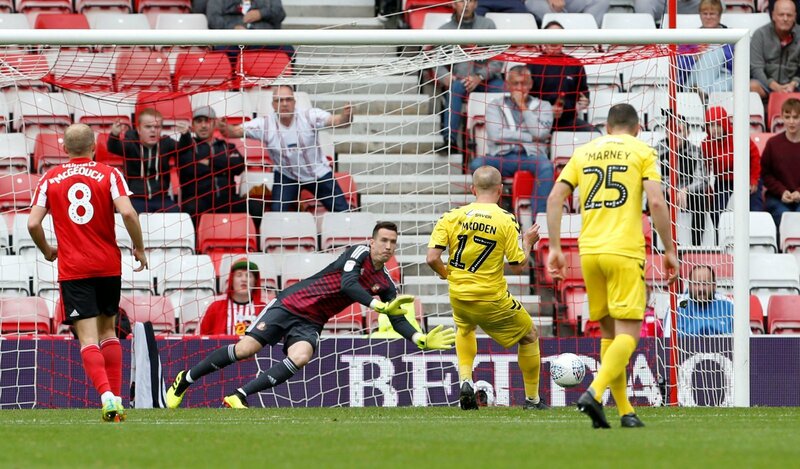 The game finished as ten against nine, even though Sunderland didn’t have a player dismissed who hadn’t already been taken off. Both Duncan Watmore and Tom Flanagan came off injured with Ross having made all his changes. Despite that disadvantage, the Black Cats bagged a vital point which sets them up nicely for tomorrow’s promotion clash with Barnsley at Oakwell. It was a manic end to the game, one which could have been avoided. Wycombe do like to manage the game, especially in the latter stages. Manager Gareth Ainsworth is a former protege of John Beck, a manager famous for unsettling tactics. It’s harsh on Honeyman, the local lad would have loved to have been part of the Wembley experience. Still, he should know better than to get involved.